A while back I saw a tutorial on how to make tissue-paper flowers at Folding Trees. 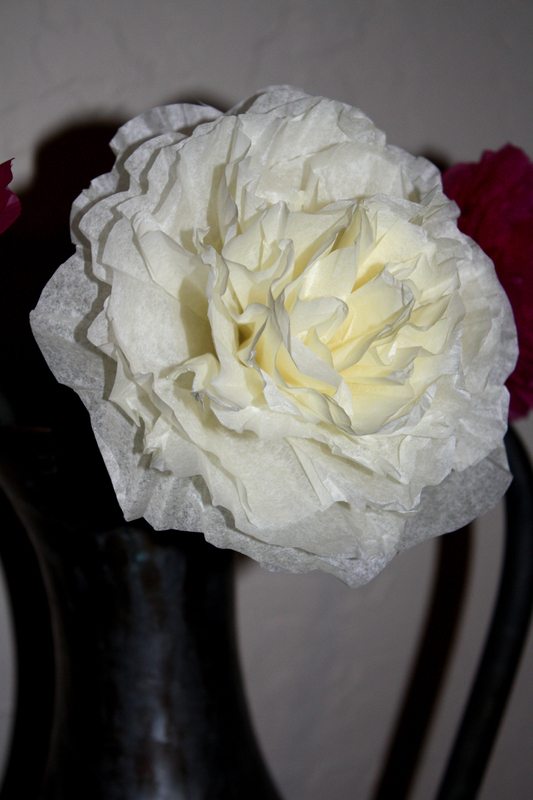 I thought some sort of craft flower would look better than my silk flowers. 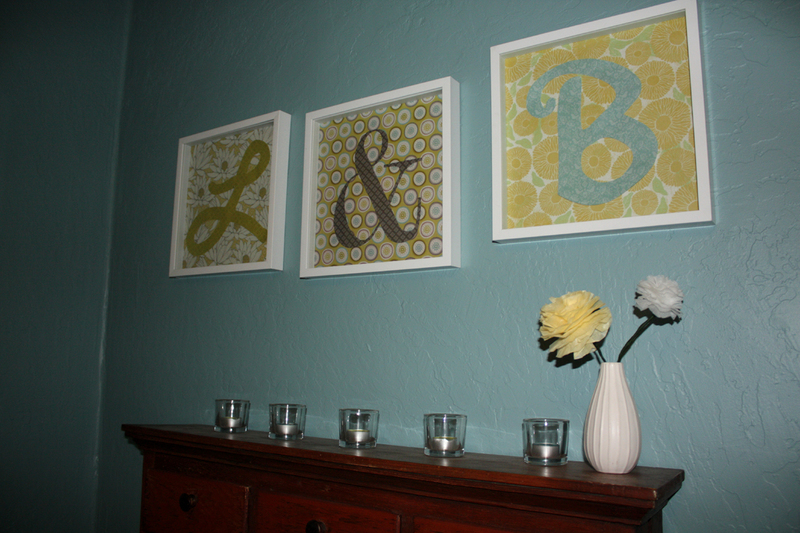 So last night for craft night my friend Genevieve and I decided to give them a try. I think they turned out pretty well. 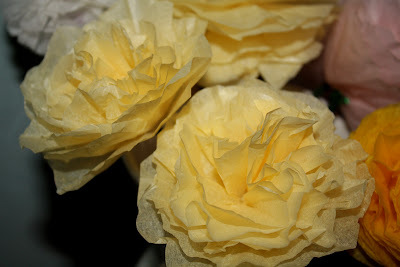 We basically followed the steps from the website except Genevieve came up with the idea to make scalloped edges. I think the scalloped edges made a big difference in the overall appearance. 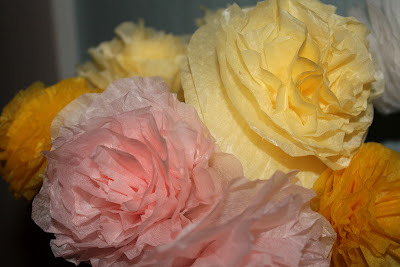 They ended up looking like peonies to me, my new favorite flower of the moment! So here are a few pictures. The following arrangement I put on the coral-colored cabinet from last week, which fittingly, the paint color was called "peony". 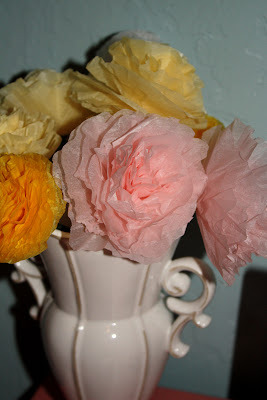 I told you I went tissue-paper flower crazy but they were so fun to make! I make these and use them as bows on presents also wrapped in tissue paper. They are a big hit especially at little girls birthday parties. That's a great idea, I'll have to do that!